One of our authors was asking the other day about the impact of Brexit on IndieBooks. So we thought we’d share our answer. The most immediate impact is that our books will be more expensive to print. Almost all the paper we use comes from sustainable forests in Scandinavia, and paper is the biggest single cost in book production, and with the Pound down 20% since Brexit, that paper will rise in cost accordingly. The second is that Brexit will have a profound effect on the economy, reflected in the eye-watering projections for the UK national debt: and if people have less money in their pockets, then book sales will suffer just like everything else. The third is that our export sales will be worth more to us, again because of the fall in the value of the pound. That’s welcome – but though we’re always trying to export more, it’s still not going to do much to offset the negative impact. The biggest impact, though, is cultural: the sense of the UK cutting itself adrift from the rest of Europe. Even if there were no financial cost, we’d still think it wrong to leave the EU because of the barriers it creates. It’s one reason we’re delighted to have three new European authors joining us in 2017, and why we’ll be promoting our books much more in the rest of Europe too. And if you want to know why it happened, then watch out for ‘Explaining Cameron’s Catastrophe’, in which Sir Robert Worcester and his colleagues explore the wealth of polling data to reveal why people voted as they did and what it means for the future. This follow-up to ‘Explaining Cameron’s Comeback’ is due out in January 2017. Today’s Guardian has a fascinating piece on publishers’ plans for post-Brexit books. So we thought we’d give a preview of the two – perhaps three – IndieBooks Brexit-linked titles due out in 2017. 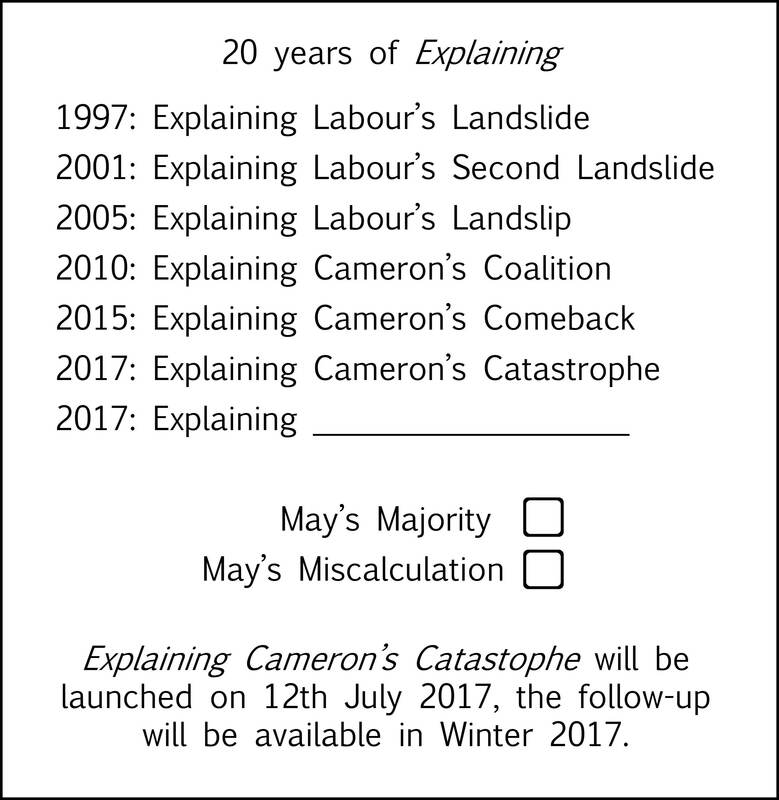 In the lead is ‘Explaining Cameron’s Catastrophe’, the follow-up to last year’s guide to the 2015 election, ‘Explaining Cameron’s Comeback’. Political analyst and pollster Sir Robert Worcester leads a team of academics and experts exploring how the EU referendum came about, how the campaign was fought and – crucially – what lay behind the outcome, with insights into the state of Britain and what it may mean for the future of politics. As always the team are working on the data right up to the print deadline but it’s currently due in the shops at the start of April. And with Article 50 about to kick off the most important negotiation in British history since 1973, what better time for us to reissue the UK Government’s official guide to EU negotiations, the imaginatively-titled “Negotiating in the European Union”. It gives the inside story on alliance-building, multi-lateral negotiations, procedures, tactics and even the best restaurants to recover in afterwards, and is illustrated by the FT’s cartoonist Banx. This is due out later in January. Let’s hope Boris has his copy to hand. And finally, for all those who found ‘Five on Brexit Island’ a bit of light relief, we’re hoping to sign up our own tongue-in-cheek guide to Britain’s post-Brexit future entitled ‘Mr Brexit: the Man with the Plan’. More to follow on all these and more.